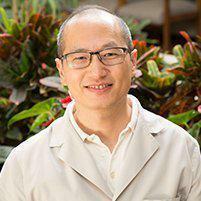 Dr. Peng is committed to offering his Gardena, CA, patients the strongest and best-looking repairs and restorations, including durable white fillings that can be custom-tinted to match the surrounding tooth material for a completely natural-looking restoration that's virtually undetectable. Tooth-colored fillings are made of strong resins designed to mimic the natural material of teeth for superior strength and durability. Unlike old amalgam fillings that appear dark against your natural teeth, making restorations obvious, these resins can be tinted to match the color of the surrounding teeth for natural-looking repairs that are undetectable to others. Can a white filling be placed over my old metal filling? No; in order to bond properly and to make sure no additional decay has formed beneath or around metal amalgam fillings, the old filling will need to be removed. Once the filling is removed, the new filling material will be better able to bond with the tooth surface, creating a shield against bacteria and decay. Are composite resin fillings stronger than metal fillings? Yes; unlike metal fillings that rest on top of the tooth's surface, composite fillings use a special approach that's designed to mimic the way teeth are “built.” Composite fillings are built up in layers, beginning with a sealer to protect the tooth and to form a better bond with the layers of composite that follow. Because they form a seamless bond with the tooth surface, they can provide superior protection against decay. Are tooth-colored fillings more expensive than metal amalgam fillings? Yes, white fillings tend to be more costly than amalgam fillings, but most patients find the extra cost worth the ability to have stronger fillings that look like their natural teeth. Our office staff can work with your insurer to determine what out-of-pocket costs you may have, and we can also help patients set up financial payment plans so they can fit the cost of are into their budgets.